Remember how what was left of Saab got bought up by Chinese-owned National Electric Vehicle Sweden? We now have some more details on their plans to resurrect the brand, which may include the Phoenix platform developed for the abandoned Saab 9-3. The folks at Saabs United scored an interview with NEVS VP Mattias Bergman on Monday, and they learned several interesting things about the future of the company. First, as has been reported elsewhere, the previous generation 9-3 (aka the 9-3 Griffin) will be brought back with a facelift and two powerplants: a gasoline version and an electric version reportedly codenamed the EV1. 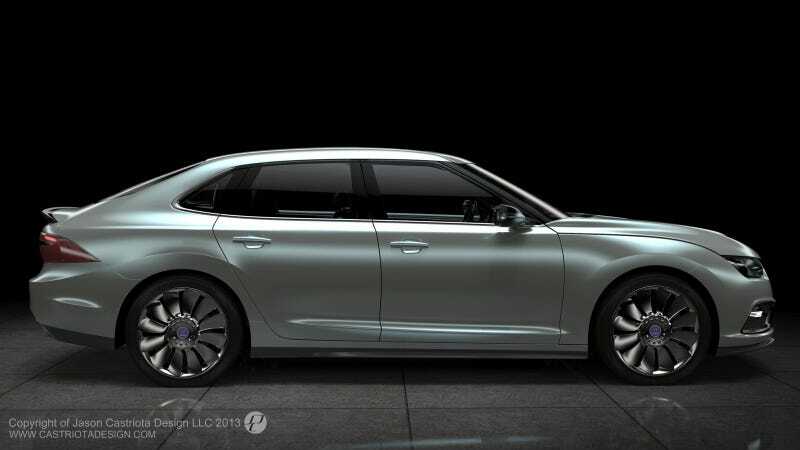 But the big news here has to do with the Phoenix platform, which was developed for a range of new cars including a 9-3 designed by Jason Castriota that was very close to production when Saab declared bankruptcy in late 2011. On that question Mattias said YES, but no formal decision has yet been taken. Right now NEVS is looking at the big picture of the Phoenix based car, in other words what targets the car needs to reach in order to succeed. That hybrid drive is one of them is now confirmed. Tim from SaabsUnited seems to think that EV2 is at least four or five years away. He says it will use a new design, however, not the one Castriota penned. NEVS also said today that they are ramping up battery production in China, and they plan to put them in upcoming Saab cars. The folks at SaabsUnited say that NEVS is aiming to sell the cars globally, although that could be tricky because it requires certification in all of these different markets. North America and Europe are the priorities after China. Check out SaabsUnited for the full story. NEVS has ambitious plans but it will be very interesting to see if they can pull this off, and further, if they can manage to sell these cars outside of China. Hey Saab faithful, are you guys down with this? Update: This story has been revised to clarify that NEVS is looking to use the 9-3 Phoenix platform, not its design, as the basis for a new vehicle.